"Life is not about finding yourself, life is about creating yourself. What do you do about it TODAY?" Galina (37, born in Bulgaria) is an expat based in Munich, working in the field of Innovation, Advanced Education und Startup Scene for the last 6 years. She holds a „Diplom“ Degree in Business Administration with major in Hospitality & Event Management. Beside working in the field of Hospitality she gained business experience at large companies (e. g. Allianz, Infineon & Siemens). After having taught and coached hundreds of young professionals as well as entrepreneurs & freelancers, Galina decided time had come to quit her job with a management consultancy and start her own business. In Summer 2015 Do Work You Love was born – network-events, workshops, business matching & coaching for people who want to find & do work they love. Beside Do Work You Love Galina is Head of Matchmaking at Bits & Pretzels – a 3-day founders festival that connects 5.000 startup enthusiasts with Speakers and Table Captains like the founders of Virgin, Airbnb, Evernote or Zendesk. 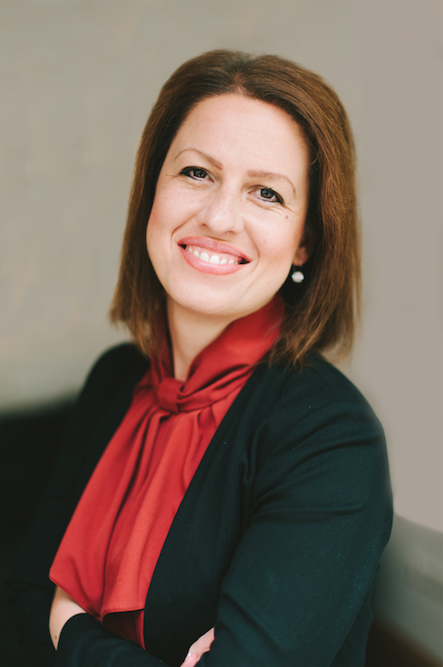 Galina's specialty is to help people explore and scale their talents, strengths and skills by enabling them to see where they stand, dream big and still set and achieve smart goals. Galina's approach is to see both the big picture and small details. People describe her working & communication style as emphatic, authentic, tailored, straight forward, professional, creative, engaging, people- and business oriented, caring & tough.